Tianmen Mountain National Park in China has just opened a breathtaking (and scary!) 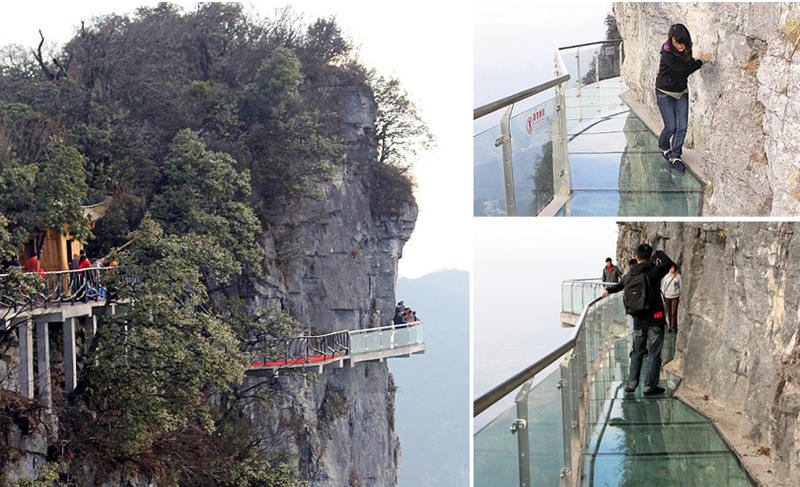 glass walkway a mile up a mountain that hugs a cliff. See more photos at newgarde blog. You don’t have to go all the way to China for this type of thrill, though. 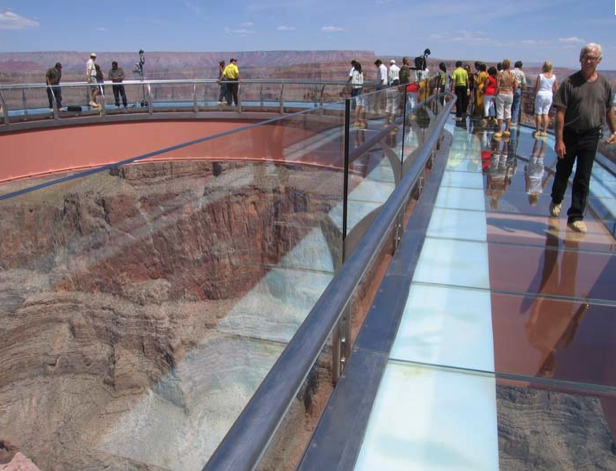 The Grand Canyon Skywalk has a glass balcony that you walk way out and over the majestic Grand Canyon. Personally, I’m chicken when it comes to doing this kind of thing. I’d have no problem living in a glass house like the one I featured recently on Feng Shui By Fishgirl but I’d have a huge problem walking on glass over a deep chasm. What about you?